Heading into last night’s game, the Eugene Emeralds were tied with Salem-Keizer for the final playoff spot with just six games left. The two teams began a three game set in Salem-Keizer. If the Ems could win two of those three, they would put themselves in the driver’s seat as the Ems own the tiebreaker should the teams have the same second half record. With 2018 second round pick Paul Richan on the mound, I liked the Ems chances to be in the game once Richan reached his innings or pitch limit. The problem facing the Ems though was Salem-Keizer’s catcher, 2nd overall pick Joey Bart. Bart is just destroying baseballs in the NWL. He’s got 10 dingers in just 40 games. He’d have more but everyone pitches around him if they can. In the first inning with a man on first, Bart came to the plate but Richan did well enough to induce an inning-ending double play. The Ems got on the board first in the top of the second. Grant Fennell lead off with a walk and scored when Jonathan Sierra tripled. Despite being at third no one out, Sierra was stranded at third as Eugene missed a golden opportunity. For a team that was last in the league in hitting, the bats came out swinging in the third. Luis Vazquez lead off with a single and went to second on an error, Mr. Calm, Andy Weber, laced a single to make it men on the corners with no outs. Nelson Velazquez then doubled to drive in both runners and make it 3-0! Luke Reynolds doubled again to make it 4-0 Ems. With only 17 pitches over 2 innings, Paul Richan was well rested to start the third. He only gave up a hit and was at 32 pitches entering the fourth, well below his 50 pitch limit. When the fourth inning came, that Joey Bart premonition came true as he hit a solo shot to make it 4-1. After a wild pitch and a couple of singles later that inning, S-K had closed the gap to 4-2. At 60 pitches, Richan was done for the night. Cam Sanders came in to retire the Volcanoes in the fifth and Ivan Medina made his Eugene debut out of the pen in the sixth. 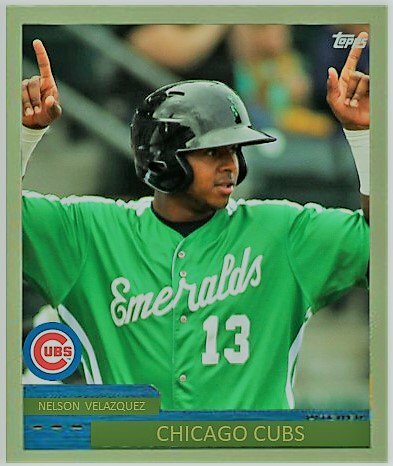 It worked out well for Ivan as he got all three guys in order which included Fernando Kelli throwing out a guy trying to stretch a single into a double. The Ems tacked on two more in the seventh to take a 4 run lead. However, Medina ran into some trouble in the seventh. After giving up a run, Salem-Keizer loaded the bases. Sean Barry came into to try and get out of the jam. Barry had trouble finding the zone and two wild pitches allowed the Volcanoes to close within one. Thankfully, Eugenio Palma shut the door in the eighth and ninth to seal the one run victory. The two teams are back at it tonight with Eugene sending Eury Ramos to the hill.